Browse: Home / 2017 / August / 25 / If You Want To Live, Then Run Like Hell From Sugar! The latest research not only shows that sugar is addictive, but that it is behind the global epidemic of diabetes and heart disease. It also causes cancer, obesity, violent behavior, and hyperactivity in children. For years there existed a consensus among medical and nutritional experts that saturated fat was the culprit behind obesity and heart disease, and that we should take in the lion’s share of our daily calories in the form of carbohydrates. The “low fat, high carb diet” was the recommended diet beginning in the 1970s. But there was a problem: without fat food tasted bland. Thus to keep the foods palatable after removing the fat, food manufacturers switched to sugar in a variety of processed forms. Today tens of thousands of food products found in supermarkets and restaurants are spiked with sugar. Depending on the data source, the average American now consumes some 50 kilograms of sugar in the form of sucrose and high fructose corn syrup annually. Fig. 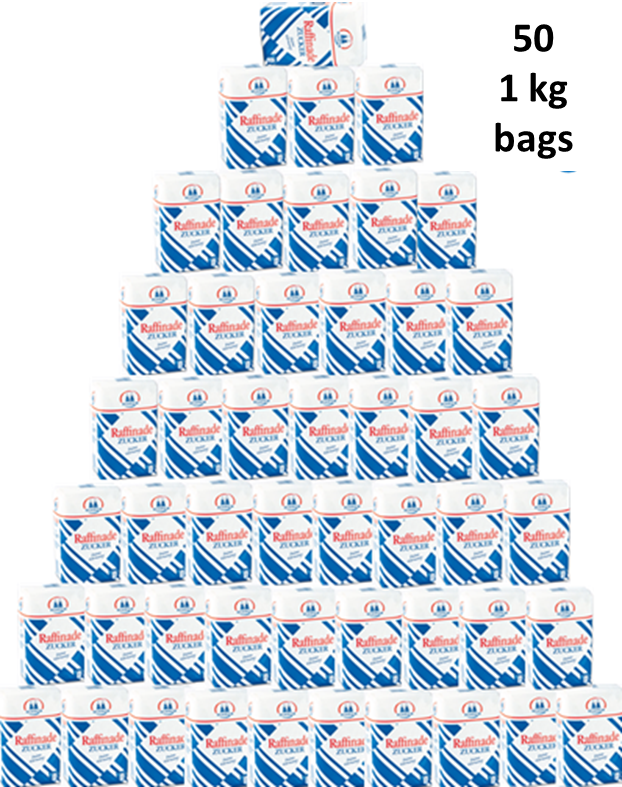 1 (right): A mountain of zero-nutrient sugar. Average American consumes up to 50 kilograms of the harmful sweetener annually. Although the figure is much less in Europe at 35 kilograms annually, it is still much higher than it should be when one considers how a couple of centuries ago the average amount was just a few kilograms per year. The reality is that the human body was never built for today’s quantities of sugar. Prehistorically, processed sugar did not exist. Now that sugar consumption has skyrocketed, we are finding out that the sucrose sweetener and others like high fructose corn syrup are causing a public health disaster of monstrous proportions. According to Dr. Robert Lustig, Endocrinology Division, University Of California San Francisco, there will be up to 165 million obese people in USA by 203o — 130 million of whom will be diabetic. Globally in 2011 there were an estimated 366 million diabetic persons, and according to the World Health Organization (WHO) there were 422 million diabetic persons in 2014. Moreover, Lustig claims there were 640 million obese people globally and that the figure will approach 1 billion by 2050. Welcome to ground-zero of the great medical/nutritional disaster of the 20th century – all thanks to sugar. Funding healthcare systems to treat all of it will not be possible. Lustig believes that the bottom will fall out of the healthcare system within 10 years. Once played down just years ago, the hazards of household sugar and high fructose corn syrup are now becoming clear. They are extremely dangerous and highly destructive poisons to human health. Here with the term “sugar” we are talking about table sugar (sucrose) and high fructose corn syrup (HFCS). What follows are 10 reasons why you need to run like hell from them. Table sugar, which is 50% glucose and 50% fructose, causes blood sugar (glucose) levels to spike. High blood sugar is bad for the organs and blood vessels and causes severe damage over time. Fig. 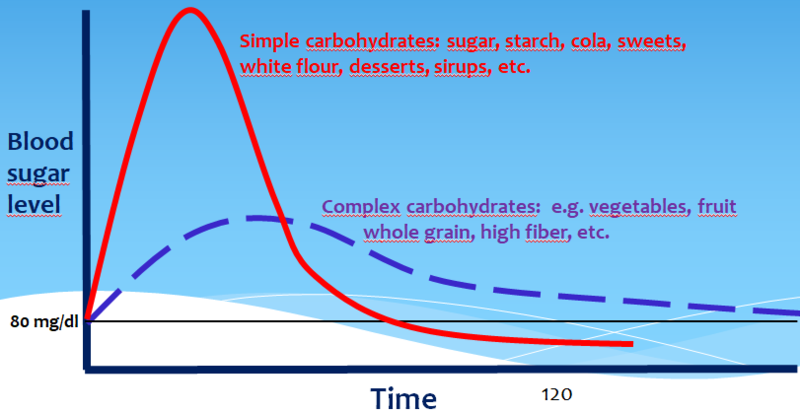 1: Blood sugar impacts from simple carbohydrates (red) and complex carbohydrates (blue). For example after eating a candy bar or consuming a sugary beverage, the sugar you ingest is quickly broken down into simple glucose and fructose molecules which rapidly get absorbed into the bloodstream. The result: your blood sugar (glucose) spikes to dangerously high levels and this triggers the secretion of insulin by the pancreas. The insulin acts to remove the excessive levels of glucose from the blood and store excess it as fat in your cells. Insulin is the so-called fat making hormone, and so blood sugar spikes lead to the creation of fat. To the contrary, complex carbohydrates, which are chains of sugar molecules that need more time to be broken down by your digestive system, lead to only moderate blood sugar rises and are thus far better. Complex carbs have great amounts of fiber and are the type we typically find in whole grain meal, many vegetables and plants. Generally one should avoid the regular consumption of foods with a glycemic index of over 60. Glycemic index tells you how strongly a food makes blood sugar rise. The lower the better. Over time, after years of being on the blood sugar roller coaster, there’s a high risk cells will become insulin resistant, meaning they will no longer stop taking in glucose from the blood to convert into fat. Blood sugar thus remains high (hyperglycemia) and is very harmful to the body. There’s a high chance that the pancreas gives up producing insulin. The result: diabetes mellitus 2. This is an awful disease, that in many cases could otherwise be avoided simply by eating properly. At this point the organism has become poisoned by sugar. Calories are not equal. Calories from sugar are metabolized by the human body far differently than those from meat, cheese or butter, for example. Some calories fuel the cells of our bodies, which is good, while others cannot be used and end up going straight to the gut and fattening the belly. 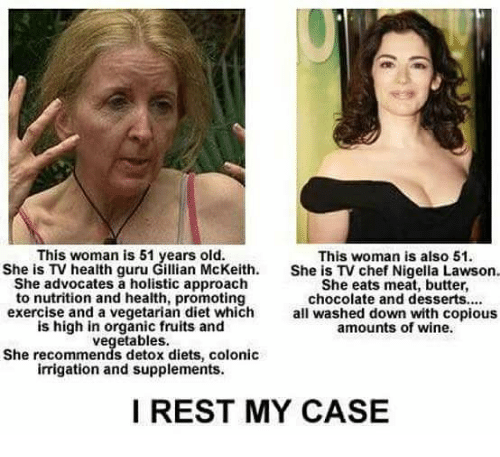 The two most notorious here are calories from alcohol and fructose. Fructose is the sugar molecule that makes everything taste sweet. Unfortunately that sweetness comes with a very high price: dangerous visceral fat. Table sugar is 50% fructose which cannot be used by the body, and thus gets converted into visceral fat by the liver. This fat gets stored in the inside and everywhere between the organs. It’s natural to have some amount of visceral fat, but not great amounts. 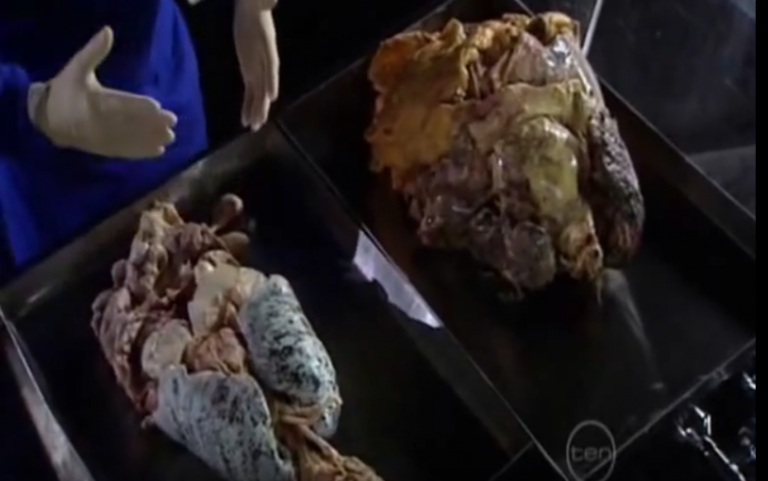 The fatty organs (right) were extracted from a deceased 350-lb man. According to renowned plastinator Gunther von Hagens, the fatty set of organs weighed three times more than the healthy set (left). Image cropped from: Visceral Fat Explained. Just how bad visceral fat can get is poignantly illustrated by this short video here (Warning: not for sensitive stomachs). Recall how the average American eats close to 50,000 grams of sugar annaully. That converts into over 200,000 calories. It’s easy to calculate the potential fructose-induced visceral fat production from this. Now add regular doses of alcohol. Note, however, that “beer bellies” are not caused by beer, but by the alcohol and all the snack eating that comes with the appetite-enhancement associated with drinking alcohol. Some will say that fruit contains fructose, and so it can’t be that bad. That’s true. But the fructose in fruit is present in relatively low concentrations and bound in fiber, so it is not a problem for the organism to handle it. Reason 4: Powerful cravings, more eating! 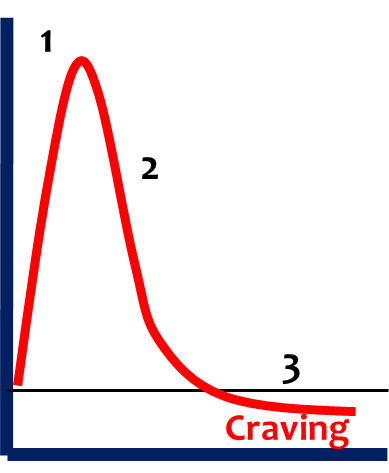 Figure 3: After eating very sugary food, blood sugar skyrockets (1), insulin is secreted by the pancreas to bring blood sugar back down (2), but overshoots and can result in blood sugar that is too low (3), and lead to powerful cravings and unruly behavior. Eating more sweets to satiate your craving will only lead to the next high blood sugar roller-coaster cycle. Remember: excess blood sugar gets stored as fat every time. Compounding the problems, obesity itself wreaks havoc with hormones and adds impetus to the development of metabolic syndrome. If table sugar in itself wasn’t bad enough already, it’s also addictive! Over the recent years, researches have found that sugar has an addictive effect on the body much in the same way as alcohol or nicotine. It does this in two ways. First, fat cells produce leptin, the appetite modulator, which signals the brain you have had enough to eat. But over time with too much exposure to sugar, leptin gets disrupted and the person no longer feels satiated. Secondly, when one eats sugar neuro-transmitter dopamine gives you a feeling of pleasure. According to Dr. Robert Lustig, over time dopamine-tolerance develops within the pleasure zone of the brain and so greater quantities are needed to produce the same pleasure effect – very much in the same manner as alcohol or nicotine. Result: Tolerance + withdrawal = addiction. Blood sugar leads to the natural process known as glycation. Sugar in your bloodstream attaches to proteins and fat to form harmful new molecules called advanced glycation end products (AGEs). When there are too many, as is the case with high sugar consumption, your body cannot get rid of them and thus lead to oxidative stress and inflammation in the body. According to Doris J. Day, M.D., clinical associate professor of dermatology at New York University Langone Medical Center, glycation attacks the skin protein’s collagen and elastin (the ones that make you look young). When bonded with glucose, the skin becomes stiff and inflexible, more lines and wrinkles form. Moreover, AGEs hinder production of new collagen and elastin and so skin repair is difficult. If accelerated aging wasn’t bad enough, sugar consumption is also strongly linked to cancer. It turns out that cancer cells thrive on glucose. But this is not something recently discovered. It was known already in the 1930s by Otto Warburg, who won the Nobel Prize. In fact cancer cells consumer glucose 19 times faster than normal cells, reports Dr. Murray Susser, MD. There are numerous studies showing how violent behavior is linked to hypoglycemia (low blood sugar), according to Dr. Russel Blaylock. Hypoglycemia significantly increases “excitability”. When the brain is in a state of hypoglycemia, neurotransmitter glutamate is released. It is the “primary thing that turns the brain into high gear“. According to Blaylock (7:30), convicted criminals become far less violent when they are put on a healthy, low blood sugar inducing diet. But as soon as they return to sugary diets, violent behavior increases. There’s a clear link between crime and nutrition, says Blaylock. A group of researchers led by psychologist Simon Moore from Cardiff University in the United Kingdom have also shown in a study that boys who ate sweets daily at age 10 are far more likely to commit violent crimes in adulthood. And according to Blaylock, school children on sugary diets are found to be significantly more hyperactive and perform more poorly scholastically than those on low-sugar diets. The human body needs a steady supply of some 90 essential vitamins, minerals, trace elements, amino acids and fatty acids to stay in good health. Everyone knows that a deficiency in just a single nutrient can wreak havoc on the body’s health and lead to chronic disease. Unfortunately sugar, high fructose corn syrup, highly refined flours and starches provide only so-called empty calories, i.e. they deliver near zero essential nutrients. Should the calorie intake by children or adults come in large part from nutrient-void source like sugar, white flour, processed starches, meaning nutrient-rich foods get booted off the table, then over the years nutrient deficiencies invariably result and can lead to a host of chronic diseases over the long run. Nowadays it’s not uncommon to see some children get 30 – 40% of their calories from near-zero nutrient junk food. Of course no one is calling for a sugar ban. However it is imperative that action be taken QUICKLY to get sugar and junk food consumption down drastically to the much lower levels that nature intended for our bodies. Junk and sugary foods need to be seen as treats given out from time to time, and not something that is to be served daily at the table as part of the normal diet. Today, a hefty sugar tax would make great sense and is probably the only way to avert the coming human health collapse. The city of Berkeley, California is taxing sugary drinks. Down With Big Soda! As always we get a call to give more power=tax to politics and politicians. Business in collusion with government creates a problem, and the victims of that problem are punished even further. Yes, that’s about they way they operate. Also, there is growing evidence that lifetime vitamin D sufficiency prevents Alzheimers dementia. Whether supplementation with vitamin D can reverse Alzheimers remains to be seen. No. Sugar CAUSES insuline resistence. Read and learn again. High consumption of sugar causes insulin resistance in people who are deficient in Vitamin D. Because over 70% of people in the US, Canada and much of Europe are insufficient or deficient in Vitamin D, insulin resistance is now commonplace. The US is running out of money to spend on health care and super excess consumption of sugar is one the prime reasons. 30% of the new cases of type 2 diabetes in the US are in adolescences. Type 2 diabetes was once a disease that occurred only among the middle aged and aged. A doctor discussing the trend note that he would expect liver failure, blindness, limb amputation and so on will result due to extraordinary early onset of the disease. There is very little difference but when the distinction is made it gives some folks the idea that one is better than the other. Fructose (aka fruit sugar) is found in honey, tree and vine fruits, flowers, berries, and most root vegetables. Most sites will say that eating the fruit is good because it will have other things therein that are good for you. Fair enough, but the sugar is still sugar and is exactly the same as HFCS. … and that natural Grape juice has half again as much sugar as an equal serving of Coca-Cola. As people learn this the sales of natural fruit juices decline. New, less sugary drinks have been created by big and little companies to provide alternatives, one being Coconut water. Further, in my lifetime there has been an amazing decrease in active play and exercise. But that is another issue. Many try to shift the blame for obesity on inactivity. But that’s more a distraction the food industry likes to use. In a healthy body inactivity would lead to less appetite. Yet today even the most inactive people gorge themselves. This is because their metabolism in fact has been totally disrupted by the intake of sugar. They feel hungry all the time, see Reason 5 Leptin. There’s no difference if the fruit is consumed in juice form. Drinking fruit juice enables far greater consumption of fruit,(try eating the 15oranges that go into an Innocent smoothie) and the sugar is consumed without fiber and therefore goes straight to the liver. It’s pretty widely acknowledged amongst the anti sugar brigade that fruit juice is as had as cola. Of course we could believe that the academics have actually got this right, or we could use our common sense & realise that this will be corrected AGAIN in about 20 years. The science behind the “High Carb, Low Fat” has been questioned from publication, but Ancel Keys was too renowned a scientist, and a man who ruthlessly fought his corner. (Many MDs have adopted the Low Carb diet and gradually reduced their patients’ dependence upon medication. In the UK, Dr David Unwin has – gradually – taken type 2 diabetes patients off their medication. The NHS can be happy with that result, but Big Pharma prefers to have the people sick. No profits in healthy people. You recommend the taxation of harmful ingredients, rather than legislation limiting their content per Litre or per Kilo? How much should we tax, in order to reduce consumption? I don’t disagree that the food industry presents arguments that puts blame for this issue on others, and other things, rather than on their products. Still, I recall as a child and teen of playing and working to near exhaustion. We did not have a TV, smart phones, hand held gaming devices, play-stations, and all the other such things. The neighborhood homes had large yards, vacant lots, and constant activity. Ball games, badminton, bicycling, roller skating, swimming, and other things distracted us from eating – and water was the drink of necessity. We did not have access to much else. My thought is that these things are highly related. We were very active and we did not consume much while being active nor afterward. I do not encounter these sorts of things today. Children that are not doing organized sports (soccer, say; or baseball), are not doing anything at all. If I crisscross town I cannot find a home with a badminton net or croquet equipment set up, or find a vacant lot with baseball diamond. This is getting too long – sorry. And you were running around in the sunlight without sunscreen, and thus you were vitamin D replete. The natural source of vitamin D is sunlight on the skin, hence its old-fashioned name, the “sunshine vitamin.” If you have relatively unpigmented skin, daily exposure of a large area of skin for 20 minutes to noontime sun produces all you need. People with heavily-pigmented skin need more sun exposure, because melanin is a natural sunscreen. While I agree with you about the importance of optimizing Vit D all the latest research shows that insulin resistance is a result of too much carbohydrate intake on a regular basis. Glucose beyond what the cell can utilize for energy is harmful to the cell and so it down-regulates its insulin receptors to protect itself and this results in insulin resistance. As well a byproduct of the metabolism of fructose in the liver is urea which has been shown to directly and potently increase insulin resistance. So yes, excess carbs are the culprit. Doctors give insulin to type 2 diabetics which is a horrible thing to do. It increases the already high levels of circulating insulin which has a number of negative effects in the body. It forces into cells the very glucose molecules that the cells are trying to keep out. This results in a glycation process inside of the cells which damages constituent parts including enzymes and thus interferes with normal physiology inside of the cell. Then, in response the cells resist even harder and the insulin resistance is ramped up even more-a viscious feedback process. Doctors, by giving insulin are accelerating the disease and making it worse. Enlightened practitioners have been able to completely reverse type 2 diabetes and metabolic syndrome and take patients completely off of their diabetic medications just by having them adhere to a very low carbohydrate diet and it can happen amazingly quickly. Correction. Above I said urea where I meant uric acid. Uric acid is the byproduct of fructose metabolism that can profoundly increase insulin resistance. Could it be that the human body is constructed in such a way that it automatically desires a baseline food intake, on the assumption that it will undergo a minimum level of physical activity. Unfortunately modern life just does not stress the majority of people even to the minimum level of activity required to dissipate all that has been eaten. Maybe the problem IS the other way up. Humans require a minimum level of physical activity in order that nutrient in the food (including sugars) are properly utilized. Eating and drinking lots of sugary material AND maintaining a sedentary way of life just ensures that you will carry too much fat and be unhealthy. Without meeting your own base level of activity you can NEVER be really healthy regardless of what you eat! And I’m NOT thinking gym exercise, I mean daily activity levels, actually moving about, walking, using stairs, just be active — STOP SITTING DOWN. The unfounded fear of saturated fat based on bad science is what prompts doctors and diabetic nutrition councilors to recommend that at least 50% of calorie intake comes from carbs. Because if fat must be restricted then there is nothing else. So then to counter the carbs they give insulin causing a feedback ramp-up effect all the while causing the harmful glycation process to to proceed unmolested throughout the body. And the insulin directly results in increased inflammation and damage to artery walls and the arteriosclerosis and atherosclerosis development and resulting cardiovascular disease leading to heart attacks and strokes. Also now alzheimers is being called by some as type 3 diabetes as there appears to be a connection between the development of that disease and insulin resistance in the brain. Diabetics are being very badly served by modern medicine and it all flows from the very flawed thinking on saturated fat. Incidentally, It doesn’t make much difference if you eat whole wheat bread instead of white bread. The difference in glycemic load and total carb load is minimal. Thanks for the interesting and timely post. While reading your link at http://alsearsmd.com/glycemic-index/, I discovered the more useful concept of glycemic load. Without much further research, it seems to me that a good diet would have a low total glycemic load. Where you recommend that foods with a GI over 60 should not be eaten, a GL diet will concentrate on a GL maximum GL. 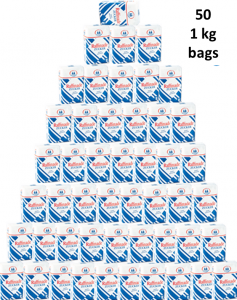 This means that, for example, pure honey with a GI of around 80 and GL of about 10 for a 25g serving, is easily accommodated in small amounts. In his excellent book, “Pure, White and Deadly,” Yudkin relates that lab animals given raw sugar products, like Demerara or Muscovado, were seemingly unaffected as compared to the pure sucrose. He also related so anecdotal evidence that humans may tolerate those well, also. While he recommended eating no sugar, at least that type stood the best chance of being safe. However, he cautioned that pure sugar crystals with a molasses coating, like “brown sugar,” could legally be falsely labelled as such, but were no better than the pure final product. He wrote that if you rinse the crystals, and the brown washes off, it is fake. So far I’ve purchased about 5 sugars called “Demerara,” and there wasn’t one from which I couldn’t wash off the brown coating. I’m beginning to wonder if there is any source of the real thing! The real thing is quite readily obtained in UK supermarkets under the specific designation “unrefined sugar”. One must read the small print on the back of the packets, since here too it is permitted to sell dyed/tinted/coloured white sugar as “brown sugar”. Actually, Yudkin was speaking about the UK, specifically, because that’s where he lived and worked. I was hoping things would be different in the US. Sadly not. BTW, if you ever have the chance to wash some of it with a bit of water, I would be interested to know what result you get. In a metabolically healthy body there are feedback mechanisms that regulate and balance activity and food intake with each other.Chronically elevated insulin levels upset this balance. Insulin affects enzymes that then cause fat to be locked into storage and unaccessible to the body. It affects the brains ability to read leptin, the satiety hormone and leptin’s otherwise ability to stimulate the sympathetic nervous system. This means that you simultaneously are less active and hungrier. So chronic high carb intake causes hormone disregulation which disregulates metabolism and energy balance mechanisms. And when the insulin does finally lower your blood sugar after a meal and you can’t access your fat stores because of the high insulin you become hungry again. A Dr. Kraft developed a term called diabetes insitu. This is where a person has completely normal blood sugars but chronically high insulin levels. It is the high insulin that is keeping the blood sugar low until the insulin resistance reaches the point where the blood sugar rises in spite of the insulin. He says that diabetes properly defined is not elevated blood sugar but insulin resistance and elevated insulin. And it is scary the number of people with normal sugars but elevated insulin. These people are metabolically disregulated and on the way to various diseases. Again too much carb intake over time is the cause and of course sugar per se is the worst demon. A fair bit of this is correct but some of it is wrong. 1) In fact, the digestible carbohydrate content of “starch and white flour” and “complex carbohydrates and whole grain” is starch. It’s the same starch no matter where it originates. 2) Also in the same chart, you imply fruit is good. But the sugar inside fruit is mostly fructose; which you also say can not be easily metabolised; so builds up as visceral fat! 3) The chart implies that “high fibre” is good for you. No scientific evidence shows high fibre food is better for you than low fibre. The part of the article I mainly agree with is that sugar (sucrose) is bad for us. We should eat starch instead. Part of the problem here is the demonization of sweeteners by the loony: natural-health / eco-stalinist / see-cancer-everywhere-from-artificial movements. I mostly gave up sugar for sweeteners. I love artificial sweeteners. Dangerous territory, with overtones of “carbon taxation”. The sugar debate has its zealots also, not least is Robert Lustig, who is selling books. “Published in the British Medical Journal by an international team of researchers, a study reports that: (1) consumption of one SSB per day increases the risk of type two diabetes by 18 percent; and that (2) about 2 million cases of diabetes over the next 10 years will be caused by SSBs. It always sounds meaningful if someone says for example, 18% more risk, but in the world of epidemiology, there are few facts, just studies and meta-studies. Don’t abandon critical scientific evaluation on the basis of one self-promoter. Correlation is not causation and there is no actual evidence presented to support the claims in the 1-10 list above.